“We have won the battle for Snowden’s immediate future, but the broader war continues,” Harrison writes. However, she voices fears citing examples of other whistleblowers being persecuted – such as Chelsea Manning, who has just begun serving a 35 year sentence for revealing embarrassing facts about US conduct during the Iraqi war; and Jeremy Hammond, a whistleblower, who is in prison for a decade in New York for allegedly providing journalists with documents exposing corporate surveillance. In the UK, her own home, Julian Assange has been holed up in the Ecuadorian embassy for over a year as the UK has refused to grant him permission to leave the embassy. More recently, Guardian journalist Glen Greenwald’s partner David Miranda was detained at London’s Heathrow airport for nine hours – the maximum time permitted – under anti-terrorism laws as he was suspected of transferring Snowden’s files to Greenwald. Miranda has taken the British government to court to argue that his nine hour detention was unlawful. His lawyers are in the High Court arguing that he was not involved in “terrorism” and his right to freedom of expression was curtailed. With all these developments in hand, “our lawyers have advised me that it is not safe to return home,”Harrison concludes from her new home in Berlin. 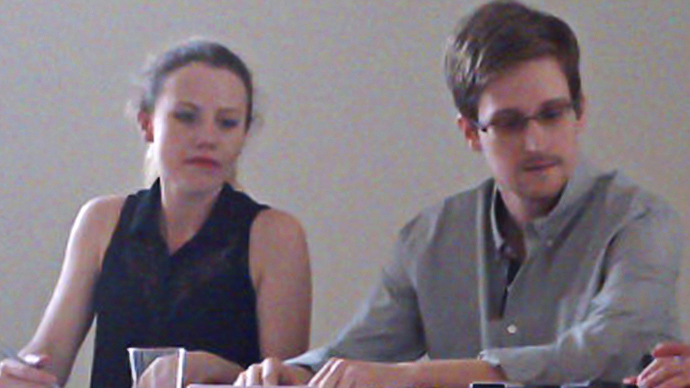 Despite concerns for whistleblowers’ destinies, Harrison says she was heartened to see people joining her cause to further investigate NSA spying and to offer Snowden asylum in Germany. Her fears were echoed by journalists around the world.